Okay, so it's not Tuesday...but I wanted to get a head start since this is a new concept for me. Tuesdays with Trish will be a bit eclectic - a.k.a. random (Just like me!). It's usually good to start at the beginning, so I thought I would begin this series by talking about books that inspire young readers. I've always loved books that were a part of a series. I suppose that's what led me to write books as a series. 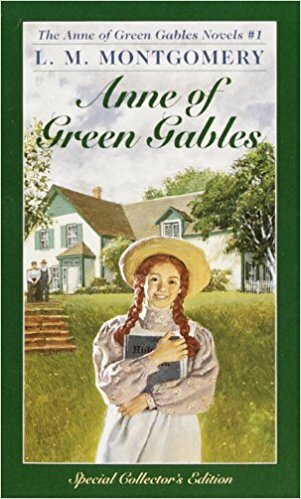 One of my childhood favorites was Anne of Green Gables. ​Those books took me to another time and place, and I adored Anne's spunky attitude. My family vacationed every summer, mostly taking long road trips or visiting my grandparent's farm. On road trips, I could escape into the stories, so that the ride didn't seem as long. While my family was enjoying the ever-changing vistas of the United States, I had my nose in my books and was living life through Anne's eyes on Prince Edward Island. While walking through the cherry orchards on my grandparent's farm, it was easy to imagine I was Anne, on my way to visit my dear friend and kindred spirit, Diana Barry. If you are a fan of the Nancy Drew books, or you love cozy mysteries with teenage heroes, I recommend checking this series out. Now it's your turn! What books were your favorites? Was there a particular book or series that sparked your interest in reading? Please share those wonderful book titles in the comments below.